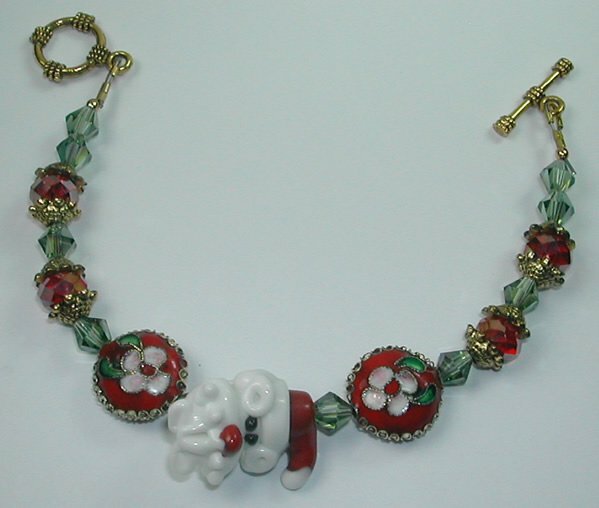 A new womans red and white Lampwork, red and pink cloisonne and green crystal bracelet . The bracelet is approximately 7 1/4". The toggle is plated metal gold tone.